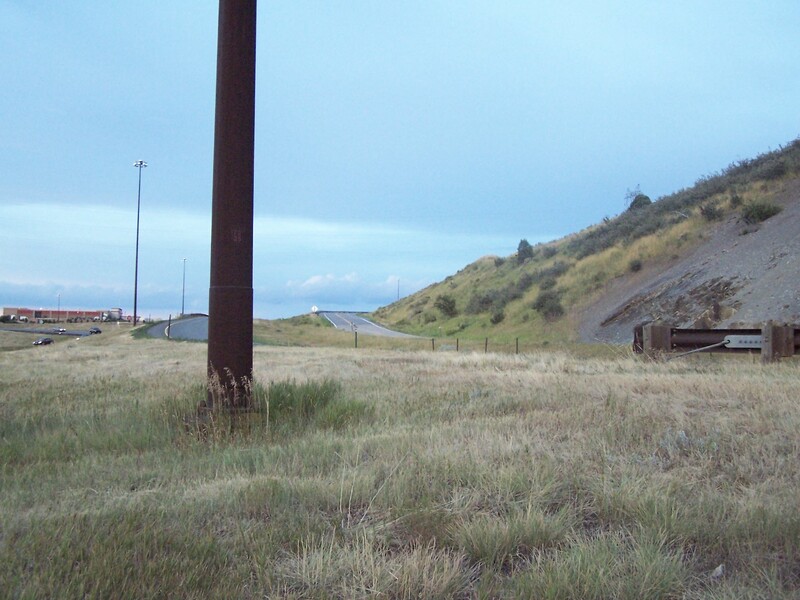 On a curvy road, on the edge of the foothills of Morrison, Colorado you will find the bridge where Adolph Coors’ grandson’s decapitated body was discovered beneath. The energy remaining from the tragic event reaches out to those who journey down the road and over the bridge, causing their vehicles to stall in the middle. If you dare venture outside of your vehicle, footsteps can be heard approaching. You may hear a raspy breath as if someone is taking their last. Coors’ angry spirit will often manifest and he can be seen in an ethereal form on the side of the bridge. Terrified travelers will hurriedly restart their vehicles and speed off into the night. Many search for the bridge hoping to have a brush with Coors’ spirit in the place he died. “Where is this bridge, I have to go”, one person posted on a forum. I asked the same thing, “Where IS this bridge?” My long search for the answer led me from Morrison to just outside of Sedalia, CO where I did not find a bridge crossing over peaceful mountain waters, nor an area that is easily accessible by a car that would give thrill seekers a speedy getaway. No, I had to dig through history to find the trash, if you will, regarding Coors demise. Come with me over the bridge and through the woods to a place where no urban legend or paranormal investigator has ever been before. It is February 9, 1960. Adolph Herman Joseph Coors III (Ad, as he was called) leaves his house at 7:45 am. He, the grandson of Adolph Coors, is the board chairman of the Coors Company. His grandfather started the brewery in 1874 and is rumored to have committed suicide by jumping out of a hotel window in 1929. Ad’s father, Adolph Coors II, owns the company; Ad runs it with his two brothers, Joseph and William. The family fortune affected Ad little as he and his family shunned away from the spotlight. Today was any regular Tuesday. He takes the hogback dirt road from his home in Morrison to Golden. Before leaving his home, Ad puts on a green checkered shirt, tie, gray flannel pair of trousers, a navy blue jacket, and a khaki colored cap. In his pockets he carries .43 cents in change and a penknife with the initials “ACIII”. Ad drives down Turkey Creek Road in his green and white International A-100 Travel-all. What happened next can only be assumed based on the investigation conducted by the Jefferson County Sheriff’s department. 8:00 a.m. Ad comes to the Turkey Creek Bridge just southeast of Soda Lake. It’s an old wooden log bridge, barely passable by two cars. He is about 2 miles from his home. A yellow 1951 Mercury blocks the road; apparently a driver is stranded. Ad gets out to help, leaving his vehicle running. Later, 2 women living in the area tell police that they heard two loud sounds that sounded like lightning. 8:15 a.m. A resident of the area passes the bridge, barely making it past the green and white van. He notices the engine is still running; no one is around. 10:30 a.m. A milkman passes over Turkey Creek Bridge and notices a van sitting by. It is running with the driver side door open. He gets out to investigate and calls the Sheriff’s Department. 11:35 a.m,: Police finally arrive to the scene to investigate the running abandoned vehicle on Turkey Creek Bridge. Immediately the responding officer recognizes the vehicle as belonging to Ad Coors and knows something is wrong. He calls it in. 1 p.m.: A full search is on for Ad Coors. 100 men in jeeps, on horseback and on foot scour the hills looking for any sign of him. Discovered near the van are a khaki cap and a brown fedora. There is blood on the bumper of the van, speckles of blood on the windshield and smeared blood on the railing of the bridge. The creek is drained and on the bottom lays Ad’s eyeglasses. Bloodhounds are brought in by Ad’s uncle. They pick up his scent on the bridge then lose it. “Ad never left this bridge” says one of the Deputies. Adolph Coors III has been kidnapped. At the time the police were coming upon Turkey Creek bridge in Morrison, Joseph Corbett Jr., or Walter Osborne as the ID in his pocket reads, is pulling up to his Perlmor apartment at 1435 Pearl Street in Denver. His 1951 yellow Mercury is covered in mud. He climbs the stairs to #305, grabs an envelope that has been sealed with tape and mails it. The next day, the Jefferson County Police have set up at the post office to intercept any incoming mail to the Coors. They find the letter addressed to Mrs. Adolph Coors III containing a ransom letter demanding $500,000 with instructions to place an ad to place with the newspaper and wait for a call with instructions on what to do next. The ad was placed, but the call never came. It is September 11, 1960. Edward Lee Greene, age 30 of Englewood, is driving on a dirt road southwest of Sedalia, CO looking for a place to try out his new pistol. He is on Jackson Creek Road and stops his car near a small path, which he follows up the hill and finds a large private dump. Hoping to find some items to target practice with, he walks 500 feet down the 45 degree slope along the backside of the dump and notices a pair of brown oxford shoes that look like they have been chewed on. A few feet away he sees a gray flannel pair of trousers with the belt still in the loops. He kicks them. Something jingles. Reaching in the pocket he finds 43 cents in change and a silver penknife with the initials ACIII. 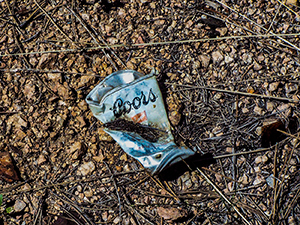 25 miles southeast of the Turkey Creek Bridge, the final resting place of Ad Coors III has been found. 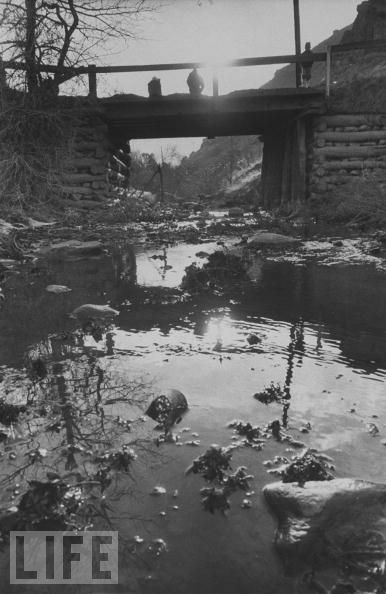 In the days to follow, between the dates of September 12-14, 1960, various items of clothing and bones are found, scattered nearly in a straight line down the slope running from the dump into a flatlands area known as Five Points through which South Garber Creek flows. Included with the items is a navy blue jacket, still zipped up and turned inside out as if it had been pulled over someone’s head with two holes in the back, near the shoulder blades. The holes are burned around the edges as if from gunshots. On September 15, a skull is found on a slope, a few feet above South Garber Creek. It is later positively identified as belonging to Ad Coors III through his dental records. An arrest warrant was made for Joseph Corbett Jr. On 10/29/60, he was arrested in a hotel in Vancouver, B.C. 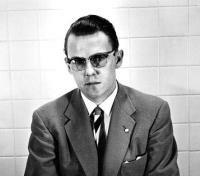 He was convicted for the murder of Adolph Coors III on 3/29/1961 after a 3 week trial in Golden, CO. His conviction was partially based on the eyewitness accounts who stated that they saw Joseph Corbett Jr. in his 1951 yellow Mercury near the area of the Turkey Creek Bridge and a speeding ticket he got in the area the morning before. The most damning evidence was the remains of the 1951 Yellow Mercury, licensed to Corbett’s alias, that was found burning in Atlantic City, NJ a few days after the disappearance of Ad Coors. Soil samples taken from the vehicle matched the soil in the area of Jackson Creek Road where Ad’s body was found. Corbett was released from prison on December 12, 1980. He would never speak anything of the crime, except to say that he was innocent. It is August 24, 2009. 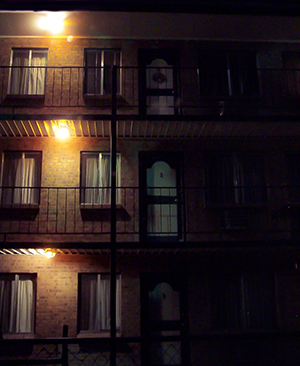 In apartment #307, at the Royal Chateau Apartments in Denver, the manager finds his tenant lying dead on a bed. A single gunshot wound to the head, with the gun nearby on the floor. At the age of 80, Joseph Corbett Jr. is dead. When my research began, it started as a search for the fabled bridge. Driving along the short stretch of asphalt known as Turkey Creek Road from Highway 8 to Eldridge Street, one soon realizes that there is no bridge, at least not in any form as existed within the photos taken on that fateful day of February 9, 1960. A visit to the library took me back in history and quickly made it apparent that the bridge in which people claim to drive over and seem to experience car trouble has not existed for nearly 30 years. With the expansion of C-470 and the creation of US-285 in the late 1970s and early 1980s, the place where Adolph Coors III took his last breath was destroyed with no trace of it remaining. Today if you want to visit the area where his Travel-all sat abandoned so many years ago, you have to park on Turkey Creek Road, cross the exit ramp connecting US-285 and C-470, and stand in a small field between US-285 and the exit ramp. Here is where Turkey Creek now flows many feet below its natural path, redirected by engineers of C-470. Needless to say, seeing the ghostly remains of a decapitated man off the side of a bridge would be impossible for this fact alone; despite the fact that Adolph Coors III was not decapitated and his remains were not found beneath the bridge. A five minute search on the internet provided me with that tidbit. Area where bridge was located in 1960. Photo taken 2009. Legend disproved. However, I was not satisfied with the mere act of knocking a 50 year old urban legend out of the water (or off the bridge, as the case may be). I wanted to find Ad Coors in the place where his body last lay. After weeks of sifting through small (mostly incorrect) hints from newspapers and the case files I used from Douglas County Sheriff’s Department, cross referencing new and old maps, 2 trips to the area, and a little bit of intuition, I finally found that place. As far as I know, no one else has ever bothered to locate this spot where his body was truly discovered over 50 years ago. The above story and research was originally written in 2009. At that time, I visited the location twice and had shared the exact details of the location on a site that I used to have these stories on. 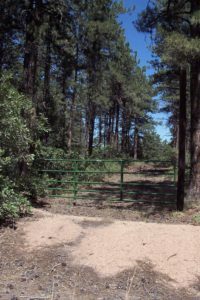 However, in good conscience I cannot share those same details here because it is private property and a “no trespassing” sign has since been placed on the gate that blocks the road to the dump site. That may or may not have been due to my posting the information about the location on the internet. I will give the hint that it is located west of Sedalia, CO. 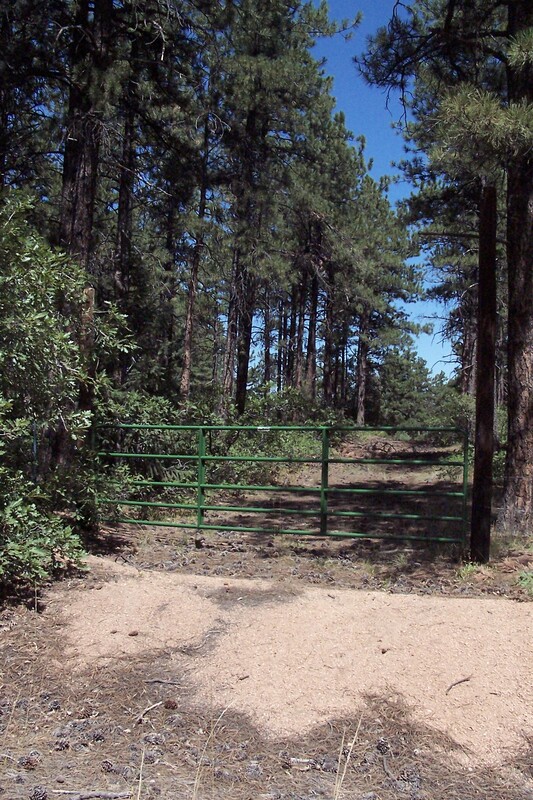 It is behind a private dump and down the extremely steep slope, about 200 feet down is where they found Ad Coors’ skull, most of his bones, and personal items. If you are astute and resourceful, you may be able to retrace some of the steps I took to find the location. If you do, you will walk down the path that was traveled by a killer over 50 years ago, dragging the lifeless body of Adolph Coors III. If you go to this location, I do not hold any responsibility for any harm that may come to you, either physically or legally. Explore at your own risk. If you find yourself standing in this location after conducting your own research, just a few suggestions and remarks. Be sure to watch out for glass and sharp pieces of metal as there is tons of it. The dump has obviously been partially covered, so imagine that there is maybe 5 feet of trash under your feet as you walk the area. My second visit to the area brought me and other with me within 20 feet of a bear cub. Where there are bear cubs, there are angry, protective mama bears. Thankfully we able to vacate the area before anything disastrous happened. This was in the area where South Garber Creek flows at the foot of the steep hill behind the dump. I personally would advise no one to go down to this area, especially along, for a number of reasons. Not only does wildlife frequent water sources and so the chances of coming across either a bear or mountain lion increase in such a place, but in the event that you have to leave the area quickly, unless you are in extremely good health, the quick hike back up the soft, 45 degree angled slope is very hard. I know because we ran back up it. If you must go down to this area or visit the dump site in general, please be prepared by studying up on what to do when you have a bear or cougar encounter. If you do not own weapons that would assist you in such an encounter, invest in the animal deterrent sprays offered online or at a local outdoor outfitter store. If you research this urban legend, you may find that many call it the Hatchet Lady Bridge. Soon after starting my research, I discovered the story of the bridge has nothing to do with the legend of the Hatchet Lady associated with the Red Rocks area. Somewhere along the evolution of this urban legend, it seems two legends intertwined. Maybe that will be sorted out at a future date. 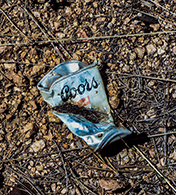 At first, I was truly excited to have finally found the location where Adolph Coors III’s body was dumped (literally in a dump); however, as I walked through the trash, I couldn’t help but feel sorrow. As I stood along the back edge of the dump, looking down the slope that would lead to the place where his bones were found, I noticed at my feet an old crushed Coors can, almost as if it was a reminder to the man that, like this can, was discarded here literally like a piece of trash, and then his body was drug down the hill by animals, and torn apart. It’s gruesome to describe, yes, but sometimes people get caught up in the hunt for the thrill of urban legends or ghost stories. We often forget about the brevity of life and the gravity of what has happened to another human being. The place he was killed has been plowed over and rebuilt upon. The place his body was found holds no memorial, just the trash that was left behind after the murder investigation was done. His bones were collected, cremated, and are gone. His accused and convicted killer never admitted to the crime, refusing to speak of it, even to the day of his death in 2009. As I finished this historic research, knowing that I stood in the areas where he took his last breath and where his body lay as a whole for the last time, I felt remorse for the life lost and worry that, like his family seemingly did, I will move on and forget about him. For that, I truly hope that there is no such thing as ghosts. I can’t imagine the spirit of a man having to remain in that dump, in limbo being trapped in the torment he undoubtedly went through in his last moments. I hope all of those that pass away simply blink out of existence or move on to a place where they no longer carry the pain, hurt, doubt or fear of life. May Adolph Coors III truly rest in peace. If you visit any of the locations associated with this story, please share your story and pictures with me at misty@coloradourbanlegends.com. Please be sure to include specifics about the locations. Your story may be the topic of my research in the future. THE LEGEND: www.realhaunts.com, www.hauntedplacesofusa.blogspot.com, stories heard through the years from thrill seekers. If you are into true crime would like to know more about the Coors kidnapping and murder and how it affected the world of criminal investigation, read this interesting article teaching Lessons From a Kinapping Gone Wrong. My boyfriend is reading Citizen Coors, worked at Coors Ceramics in the ’80s and we live on North Turkey Creek Rd near Marshdale so we are, naturally, very curious about Adolph Coors murder. Just read your article aloud and it’s just so well written and interesting that I wanted to thank you. Thank you for reading! If you or your boyfriend find any interesting information that I haven’t included here, please let me know!